HOW CAN I EXPLORE MY SOUL MISSION TO FULFILL IT THE BEST POSSIBLE WAY? Good morning, masters! Great gratitude for the contact. These last few years have been a great transformation in my life. I almost destroyed myself, and then I was reborn. During this period, in a Dowsing session, I was informed that I am a crystal consciousness, and feel strong contact with galactic beings. Would you like to know how I can improve this? Many times I do not feel "from this world" and I feel a strong homesickness. But I know that if I am here there must be a reason, so my question is: how can I explore my soul mission to fulfill it in the best way possible? Gratitude loved, eternal and infinite gratitude! Daughter, what do you mean by galactic beings? Do you know that you are also a galactic being? And do you know that all who live on this planet are also? Realize daughter that your quest has been only to discover the mysteries of all that lies behind the matter that presents itself to your eyes. But, notice in the messages we bring to you, if at some point we guide you to do this external search. We, the Masters, have always come to guide you through the material illusion and the distractions of the mind, but which only cover your own hearts, which do not allow you to see your own truth. The quest for answers, by understanding for what reason you came and what is your mission, it is the inner quest that you could have started. If you want to find out what your mission, daughter, I say to you: The mission of all of you is the encounter with the highest aspect of your consciousness. And that is present within each of you and that you call by the name of Higher Self, I am. This is the energy that you tune into as the divine essence and your mission is the encounter and unification with that energy. Just as it is also the search of all of you, inserted in the experience of matter only so that all your restraints are shown to you as mirrors in your experiences that materialize your greatest fears before you, with each fear overcome, with each illusion dissolved in connection with your own heart, you are closer to your true mission. Well, daughter, remember that all of you are crystalline and the material cover that envelops this crystalline light is only the illusion of matter, the distractions of the path, which eventually divert and delay your inner search process. You want to follow your mission in the best way, daughter? So just forget all the outside information and start the inner search. Observe the outside experiences only so that you understand the processes that occur within yourself and then transcend each of them and allow that crystalline light to shine and shine your truth. AM I ON THE RIGHT PATH IN MY DAILY ATTITUDES? 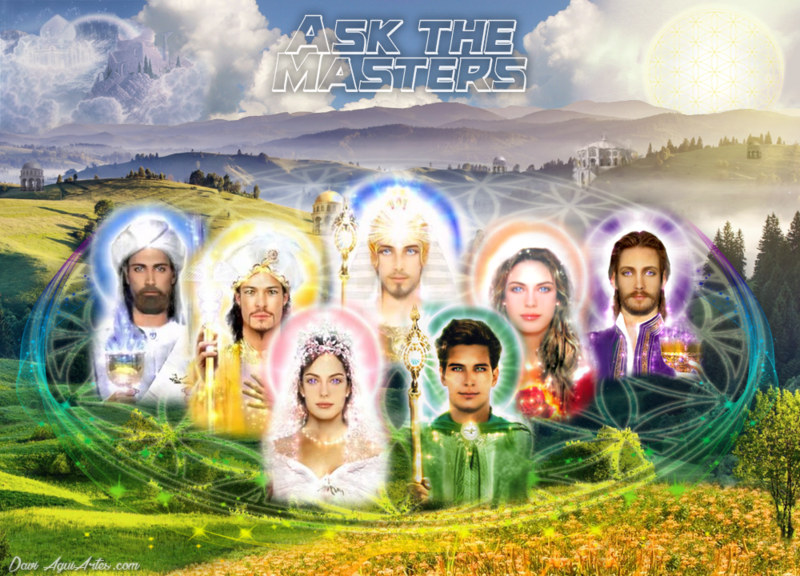 Dear Masters, thank you very much for all the answers you gave to my questions. Thanks also to Thiago and Michele. Beloved ones, I really want to know if I'm on the right track in my daily attitudes or if there's something more or less I need to do. Love you all. Namastê. 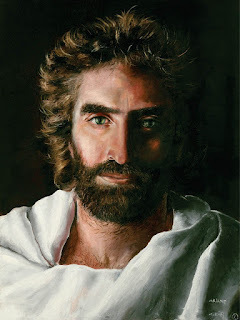 Daughter, I bring you a generic answer, but perhaps it will serve others who wonder if they are in the way. And I tell you: you've always been on the way. And maybe I think: but despite everything I've done and passed I'm still on the way? And it would surprise you to think that it was precisely this path that brought you precisely to that question. On the other hand, all paths always lead to a destination and perhaps you have to modify the question. Am I on a path that will lead me to the destiny of enlightenment? Maybe, that's the question. Because everyone is in some way but few really want their enlightenment, few live for it, because they are still bound to material pains and all that the ego imposes on them. So you have to ask yourself, what do I do to get closer to enlightenment? And then we could start a conversation. But we can say that they are creators and that the focus makes the way to accelerate, because if you really seek your enlightenment, you will achieve it as you create your life. The focus is transformative. Focus on your own illumination and let the path unfold so, the most appropriate time you will reach your destination. Be in peace. HOW CAN I EVOLVE WITHIN THIS PARADOX OF ACCEPTANCE? Masters, thank you for being so nice to me, even with my oscillations of faith. I am immensely grateful for my family, my boyfriend, and the theater. I'm going through a wave of change. Everything shows me that I need to be more flexible and patient, in the collective, in the relationship and in the stage. There are several indications. However, I often choose consciously to take a low-frequency attitude to respect my feelings. Well, if I just watch, it seems like I'm not doing anything, you know? I am guilty many times and I support my wills and wants, I accept the consequences of it. I think it's valid if I have anger or fear, the point is: by my studies, these feelings refer to a "non-acceptance." But I can accept "non-acceptance" inside of me, right? I want peace, but what if peace requires me to be silly and not fight for my rights? I want to be light, but to be free to express my feelings, regardless of how low or high they emanate. I can not hold back. I do my best not to be hypocritical like my father does in his life, lying to himself, denying feelings, vibrating frustration and regret. I'm real! How can I evolve within this paradox of acceptance? How do I become a good leader with the collective? To be a good girlfriend and be good to myself? Where does this strong wave make me unstable? When will the changes in matter come with this wave? Please be clear with me. I am in a hurry sometimes because it is very uncomfortable to go through situations of suffering, and I know that I deserve to be light, to be happy and abundant. Can I cure myself in this life? Hugs. Talk about human feelings with clarity. But how to speak clearly about human feelings? For feelings were not meant to speak but to feel. You feel these feelings as human as revolt, inner struggle, justice and all this goes through you, for that is human being, to feel. Daughter, there is nothing wrong with feeling, for that is the human condition. Feeling is one of the great wonders of being human. But all these feelings pass through us. We feel, but they do not dominate us, because we know that feeling is human. Now they do not have to dominate you. To feel and not allow yourself to be dominated by feelings is not to be hypocritical, as your father thinks. Only in the experience of life and wisdom gained from relationships he has learned not to let exacerbated feelings overpower him and get him out of balance. He has learned to master the emotions and this is a great learning, to which you are still in the initial stage. Therefore, you still can not perceive when you have a master in front of you, to show the path that you yourself must follow. The ego does not allow it to see beyond its impulses of imbalance, to want to turn everything around in what it believes to be right or wrong. You see, daughter, that as long as you do not learn to cultivate gratitude, you will not open yourself to learning the new. For the restrictions you present today, you carry many incarnations and you are again trying to overcome them. You ask how to be a good leader? Seek then to be the leader of your own emotions, to look within yourself and to master your lower impulses. You will realize that to reach a state of balance, the walk is a great overcoming and willingness to let go of the ego and embrace humility, forgiveness and gratitude. You must feel and allow the feelings to go away and then you stay there, protected from yourself. You should not reprimand these feelings, you should not deny them, but rather look at them and let them go. Through these feelings, you seek your own origin. And this is beautiful because it makes us know ourselves. That's human being. But to be a master is to learn justly to honor your feelings with balance, with mastery and gratitude for life. To be human is not to let feelings dominate you, not even to bow to everything that is before you but allow those feelings to flow into your life, through gratitude for what you are. To be light daughter, is to allow these feelings to flow into your being, to always convert to love, and see them in that way, free and without judgment. You stop sorting your feelings into good or bad and you accept them, and thus, they no longer dominate you. You must have mastery over them. You must master them, but do not damn them. For this it is necessary to change the gaze, which must stop being towards the external and turn to the internal, realizing that everything that does not please it on the outside, is what it should observe as a lesson within itself. Be in peace. WHAT IS THE REASON FOR MY SOLITUDE? Beloved Masters. I would like to know the reason for my loneliness, which sometimes becomes so acute that it makes me feel rejected by my friends, which I do not think is the case. This sense of rejection is easily activated, and is very difficult to overcome. My strongest affection, my father, has already departed, and the relationship with my mother and one of my brothers is not easy. When everything goes wrong, I feel lost. Thank you for your help. Greetings, daughter. Today I come to bring a breath of relief into your heart so that it shines in the light that it is. Look at yourself and recognize that you are a being of light, daughter of the creator, just like any other human being in this world. And why hide from what is? Why isolate yourself? What is happening daughter, is that during their lives they have left behind drops of self-love, of faith in life, energies that have dispersed and made you that character, who does not feel like looking in the eyes of whoever and feel within you that is light. It needs to recover its capacity to look into the eyes of all with sincerity and courage, returning to the greatest gift that God has given us, which is our own love. Releasing the fears and restraints it brings into your life will have more relief in your days. Look for help, my dear. There are several lines of therapies that can help, because you bring within you the anguish of not being able to break free of behaviors that no longer resonate and do not say who you are. Then find ways to get you to treat the records that are stirring up these fears. You are one step away from your transformation and the release of these behaviors, but you need help in this final step, right, daughter? We do not always need to follow the path alone and there are always brothers who can give us our hand to continue the journey of light.